This holiday season, every business should prepare for the sudden rush in consumer demands. For most industries, stocks and supplies fly off the shelf during the holiday season. As such, getting caught unprepared and running out of products/supplies can have serious repercussions for your business in terms of loss in potential sales and reputation. Without an effective inventory management system, you risk exposing your business to operational challenges and inefficiencies. Aside from playing an important role this holiday season, inventory management systems in general are crucial in supporting growing businesses. Increasing complexity due to poor inventory management can create inefficiencies, increase oversight and deny your business the vital information it needs to understand consumer demand. Thanks to cloud computing, deploying an effective inventory management system is just a few clicks away. Improve internal business processes by deploying a system that matches your business needs and capacity. Most cloud inventory management systems in the market help improve business processes through automated monitoring, seamless integration with existing systems (CRM software, PoS systems, and manually keyed or scanned input methods) and direct data analytics and organisation through charts and graphs. By reducing internal processes and requirements, managing inventory and understanding trends becomes easier. Organised and secure information about your inventory and customers. By taking advantage of cloud computing, your business can securely store and organise key information regarding your inventory and customers. Since most cloud computing services constantly back up data and are bound by their contracts to secure and safely store your data, it’s much safer rather than just relying on a paper trail or your own servers. Find out which among your products/supplies are fast-moving, analyse stock quantities, understand when to stock up and reduce overstocked items that reduce liquidity as well as take up space. Figure out what your customers are buying and use the information to understand who and what drives your market. Information on your inventory and customers is critical in ensuring that you know and understand the real-world values of your projections, predictions and current progress. Use it to inform your business decisions. For product-oriented businesses, sorting out the inventory is crucial as the business grows to meet the market needs and demands. Stay on top of your company with a little business process improvement. 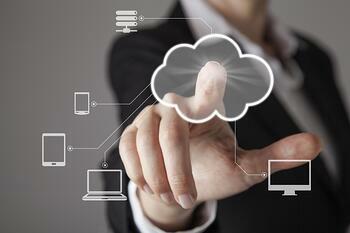 Implement a cloud-based inventory management system that suits your needs and capacity. What other systems are available in improving your business operations? Download our FREE eBook - The IT Pillar, and find out how your IT system can make your other departments perform effectively and efficiently in order to reach your business goals.